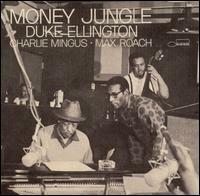 “Fleurette Africaine” by Duke Ellington (Piano), Charles Mingus (Bass) and Max Roach (Drums). From the 1962 “Money Jungle” album. Composed by Duke Ellington.